In almost two decades of its existence, eFax has managed to attract some seriously high-rolling clients, including nearly half of the Fortune 500. This online fax service makes it easy to send and receive business faxes online and allows companies to save cash on ink, toner, paper, fax machines, and fax phone lines. With more than 11 million clients to date, ranging from small businesses to huge enterprises, it seems that eFax is one of the most trusted online fax services in the business. If you are looking for a way to cut down on your business communication costs and send and receive faxes with greater ease, you may discover an elegant solution in this eFax review. 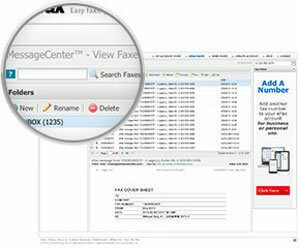 With eFax, you can securely send and receive faxes online. All you need is a PC, laptop, tablet or smartphone. In order to satisfy the varying needs of its clients, the service offers different ways of handling both inbound and outbound faxes. You can send faxes via your eFax account, by logging into MyAccount and selecting the Send Faxes option, you can use the free eFax Messenger software that allows you to view, create, edit, and sign faxes, you can quickly send a fax via the eFax app for iOS or Android or opt for the eFax extension for Microsoft Word. Another available option is sending your faxes via email. When it comes to receiving faxes, you have just as many options at your disposal. You can receive your faxes via email or eFax Messenger, view your received faxes on the Inbox page of your eFax account or use eFax mobile apps to view your received faxes wherever you are. 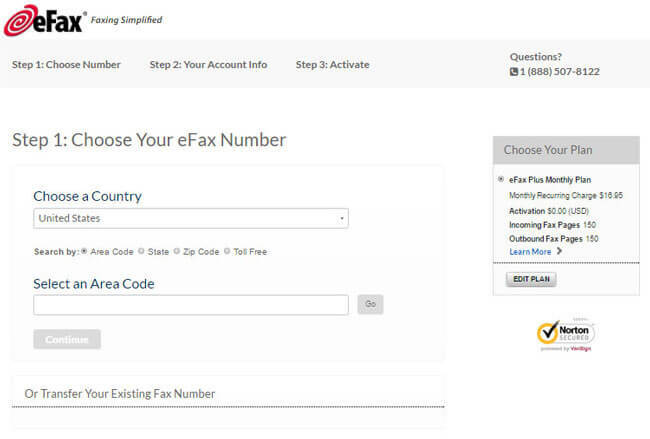 In order to use eFax, you need to create an account and choose the plan that best suits your faxing needs. Once you sign up, you get a PIN code you use to log in and we warmly suggest you change it as soon as you get it, for security reasons. This can be done directly from the Password section of the Profile tab of your account. You can manage all your faxes through your eFax account, which may be an appealing option to users who appreciate simplicity. However, due to the somewhat outdated interface, advanced users may prefer other options listed in the previous section of this eFax review. You can add a fax number to your account whenever you want, port your existing fax number, and even add an international fax number. The service currently offers numbers in more than 4,000 cities across 50 world countries. We particularly like the fact that eFax allows you to opt for both local and toll-free numbers. 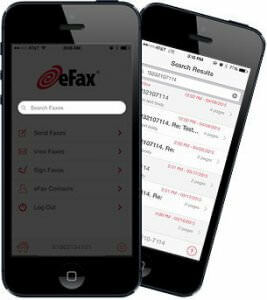 What particularly sets eFax apart from the rest is the wealth of useful features it offers. Here is a quick overview of the crucial benefits you get to enjoy as an eFax user. Lifetime Storage allows you to securely store all your faxes for as long as your account is active and easily access them from your eFax portal or eFax mobile app. Electronic Signature lets you add your signature to your faxes electronically and avoid the hassle of printing out and signing physical documents. You can use a photo of your signature or swipe your finger across the screen of your phone to sign. Large File Sharing allows you to share files of up to 3 GB at once. Third-Party Cloud Storage enables you to grab files directly from Dropbox, iCloud, Google Drive, and other third-party cloud services and attach them to your fax message. Enhanced Security protects your faxes with a layer of 256-bit encryption. Address Book allows you to import your existing contacts into your eFax account for greater convenience. With eFax, you can choose from 3 basic plans – eFax Free, eFax Plus, and eFax Pro. The eFax Free plan represents a limited free version of the service. With this plan, you get a fax number that allows you to receive up to 10 fax pages per month. Sending faxes is not an option. Your faxes can be stored in the eFax Message Center for 30 days. The eFax Plus and eFax Pro plans are perfect for freelancers and small businesses with up to 10 employees. The eFax Plus plan costs $16.95 per month, plus a one-time $10 setup fee. It brings you 150 free pages for sending and 150 free pages for receiving faxes per month. Once you use up all your free pages, each page costs $0.10. The eFax Pro plan comes at the price of $19.95 per month and includes a one-time $19.95 setup fee. You get 200 free pages for sending and just as many free pages for receiving faxes per month and pay $0.10 per page once you have no more free pages left. Apart from paying month-to-month, you can also opt for the annual subscription and get 2 months free, regardless of which plan you choose. While we are not happy about the setup fee, it is worth noting that the service does sometimes waive this fee, so you end up paying a bit less. If you have more than 10 employees, you can opt for eFax Corporate Solutions. The price of your Corporate plan depends on your needs and you can request a custom quote before you sign up. If you want to try out the service first, you can make use of the 30-day free trial. No service is perfect and neither is eFax. While it would be unfair to say that eFax does not provide quality fax service, we did encounter numerous customer complaints related to customer support, account cancellation, and the refund policy. Therefore, we would like to advise you to keep in mind that there are no refunds. If you wish to cancel the service, especially if you are using the free trial and want to avoid being charged, be sure to get in touch with the customer support at least a couple of days before your trial or billing period expires, so you can avoid any unpleasant situations. If you only want to receive a couple of faxes per month, you can always opt for the free version of the service which does not require you to provide credit card details, so there is no worry that you might get charged. While browsing the official website for the purpose of this eFax review, we were quite pleasantly surprised to see that the Help Center is chock-full of useful and easily accessible information. In case you fail to find the answers you need on your own, you can get in touch with the support staff via phone, email or live chat. After testing eFax’s support, we have to conclude that there is a great factor of luck involved. The quality of support hugely depends on which agent you get to speak to. In our case, the answers ranged from quite concrete to not helpful at all. This negatively affected our overall satisfaction with the service. 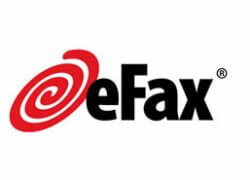 Generally speaking, eFax is a good online fax service that has been in the business for a long time. It is trusted by a huge number of clients and it boasts useful features that are not found in the majority of its competitors. Unfortunately, the above-average prices, outdated interface, no-refunds policy, and inconsistencies in the quality of customer support have somewhat spoiled our otherwise good impression of this service. That being said, we believe that users who are aware of all of its abovementioned downsides should find very few additional reasons to be dissatisfied with the service. If eFax invests some effort in upgrading its customer support, it will certainly become irreplaceable to many. Our ratings are the result of an objective and independent evaluation of eFax, generating the final rating that reflects the overall quality of the company. Ratings may change as the service changes. eFax user rating based on 4 user reviews. Excellent fax service, poor customer support. Pricier that others, although quite handy and easy to use. Don’t subscribe to eFax unless you are planning on using it forever. I’ve been trying to cancel for weeks. The worst customer support ever. I have nothing against Indians, but come on, hire someone who speaks English. I’ve been using the service for months, mostly problem-free, but every time I have a question, I have to talk to at least 5 agents before I get a remotely good answer. We found 0 verified eFax promo codes for April, 2019. There’s no eFax coupons or discounts right now. If you like eFax but aren’t sure whether they are truly the ideal choice for you, you may want to take a look at our comparisons below to discover if one of their competitors is more suitable for you. Want to find out even more about eFax? 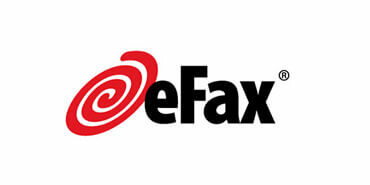 What Is eFax, which provides all the basic information about this well-known online faxing service.